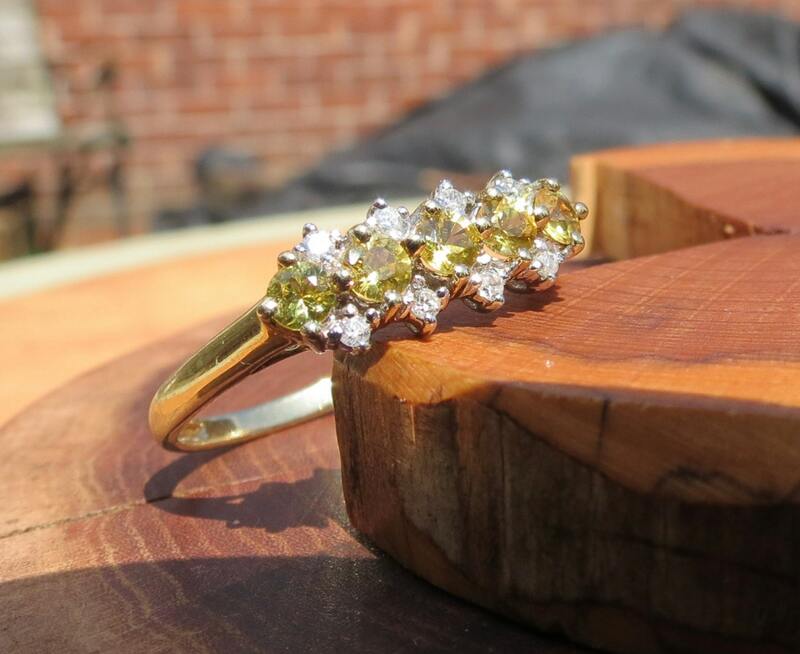 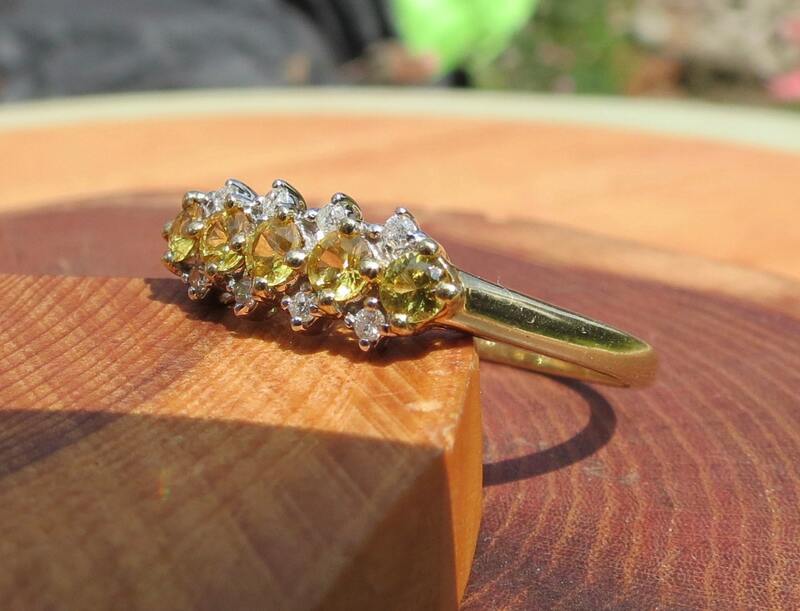 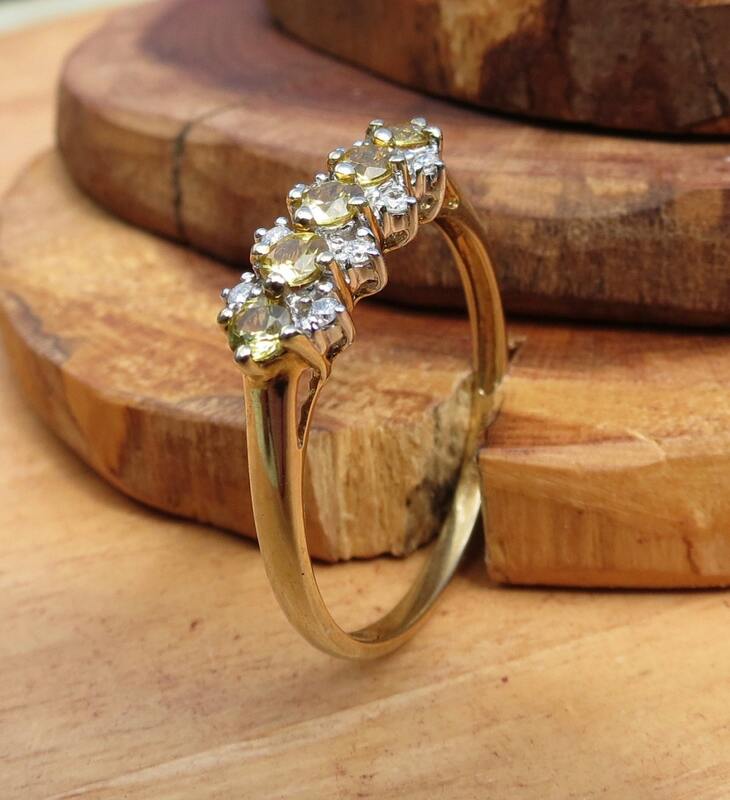 A vintage 9k yellow gold ring peridots and white stones. 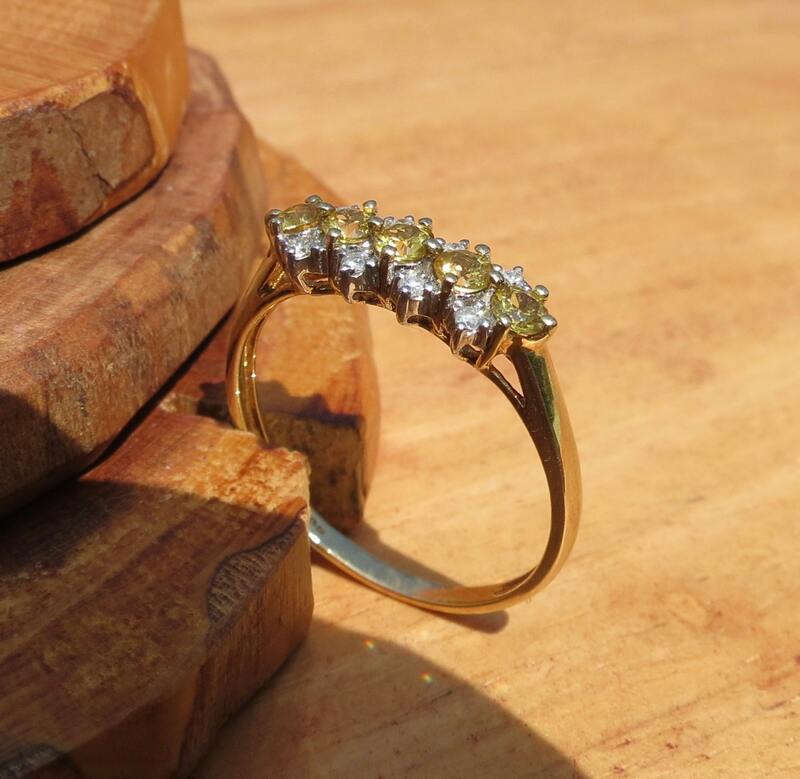 A vintage 9k yellow gold ring with five round cut peridots with white stone accents set in peg gallery leading to a plain shank. 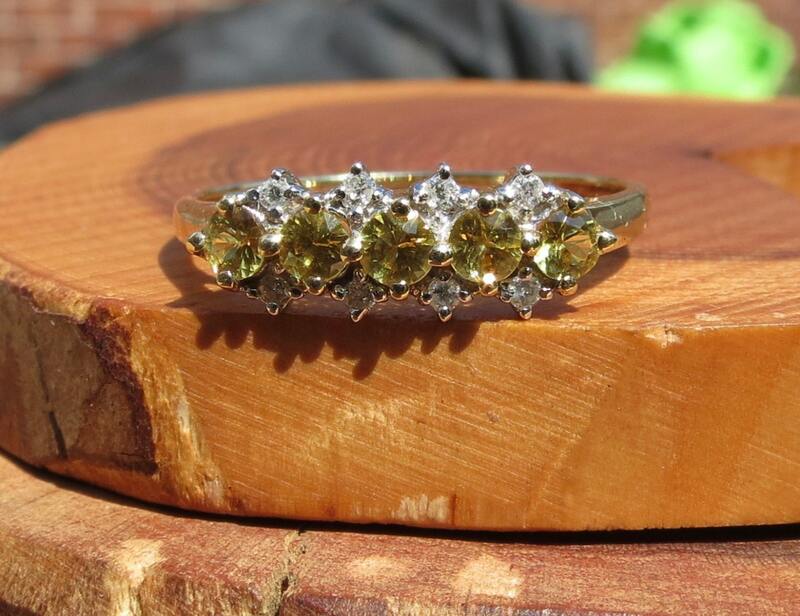 Full British hallmarks, London 9K.